You cannot Special Summon monsters, except Dragon monsters. 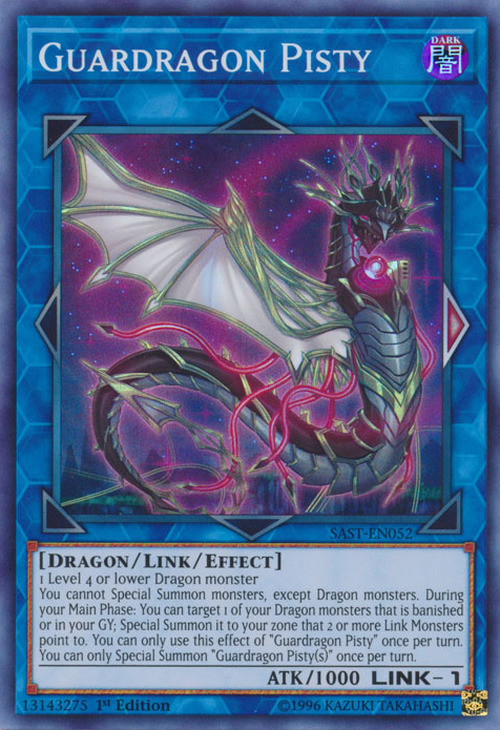 You can target 1 of your Dragon monsters that is banished or in your GY; Special Summon it to your zone that 2 or more Link Monsters point to. You can only use this effect of “Guardragon Pisty” once per turn. You can only Special Summon “Guardragon Pisty(s)” once per turn. This monster appears in the artwork of Orcustrated Release.